Family, friends and spouses of hunters always face a dilemma when Christmas rolls around. What do I get the deer hunter in my family? There are so many items to choose from. Most hunters will be happy with most anything related to our passion. However, some items stand out as great items and therefore make excellent gifts. Below is a list of the top ten items I would recommend for Deer Hunters across the country. Whether you are chasing whitetail in the South or Mule Deer across the Rockies or even Blacktail in the Northwest. Here are some items all deer hunters can use and would love to have on their Christmas list. Every deer hunter is always in need of excellent clothing and camouflage. Of all the brands available one stands out as the best of the best. Sitka Gear brand clothing is matching their slogan as well as anyone. “Turning clothing into gear” is about as accurate as it gets. The design of Sitka brand clothing is unmatched. From integrated knee pads, to shaped pants for tree stand sitting and layers designed to fit together for all temperature extremes. Sitka brand clothing is a lifetime purchase and will carry you through many seasons. 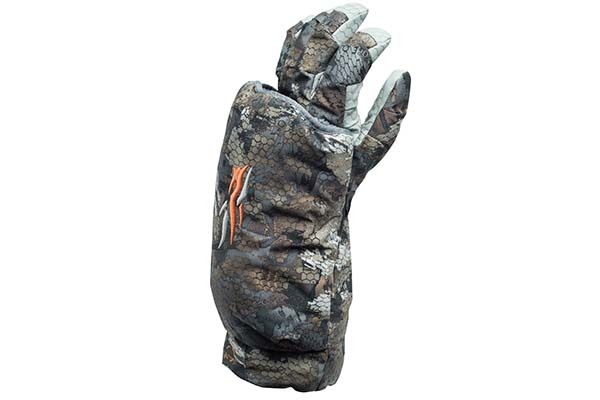 Sitka Gear Callers Gloves in the new Timber Optifade pattern ($99). All Deer hunters need quality optics. None are more important than binoculars. Zeiss optics make a great gift for any deer hunter. Whether you are sitting on stand and surveying the thick brambles of southern swamps or scanning from one ridge to another. Zeiss has a product for you. 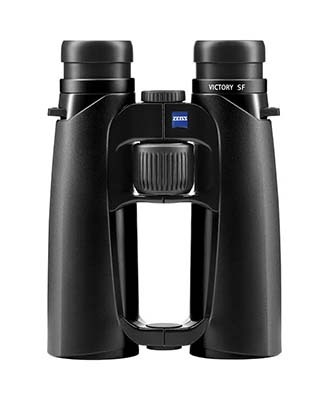 The ZEISS Victory SF 8×42 offers the best gift. This binocular offers both a quick overview of any situation and rapid image acquisition. The 8x magnification offers the user an extremely large field of view and permits steady observation with outstanding depth of field, even under adverse light conditions. If you desire a bit more magnification, or just prefer a 10x for your hunting situation the ZEISS Victory SF 10×42 enables comfortable, long-range viewing deep into the twilight. While we are on binoculars, all binoculars are in need of a good harness to carry their binoculars. 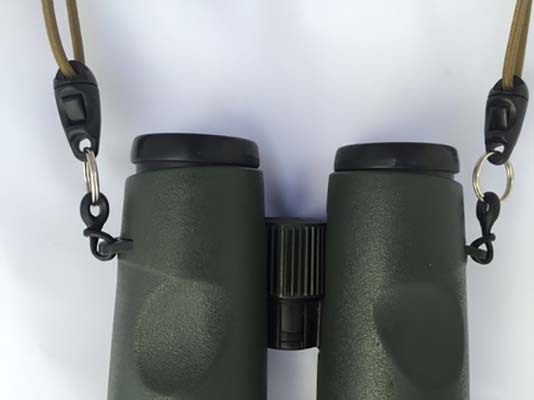 Many companies have designed binocular harnesses through the years, but one is so simple, light and multifunctioning that it deserves mentioning again this year. Rick Young, of Rick Young Outdoors has designed a binocular harness that trumps everything out there. His “Ultralight Bino Harness” is one that when you see it, the thought immediately comes to mind. “Why didn’t I think of this?” it is so simple, so light, so versatile, and so inexpensive everyone should own several. Rick Young Outdoors Ultralight Bino Harness is not your typical harness, it is so versatile it can be used for a variety of purposes. Full single point adjustments, light weight versatile this is without question the best harness available on the market today. Killing game is only part of hunting. All deer hunters know the real work begins after the game is down. A quality knife is essential to making the work of cleaning, capeing, quartering game as easy as possible. I am late into the replaceable blade knife design. But after trying one, I fell in love with the Havalon knife the first time I used it. Cleaning a deer in the backcountry is a tedious task. Especially when we have to pack them out. Knives get dull from skinning, gutting, quartering and even deboning. Being able to replace a blade rather than having to carry additional knives or sharpening stones is so much easier and does a far better job. Havolon knives come in many different designs and styles. 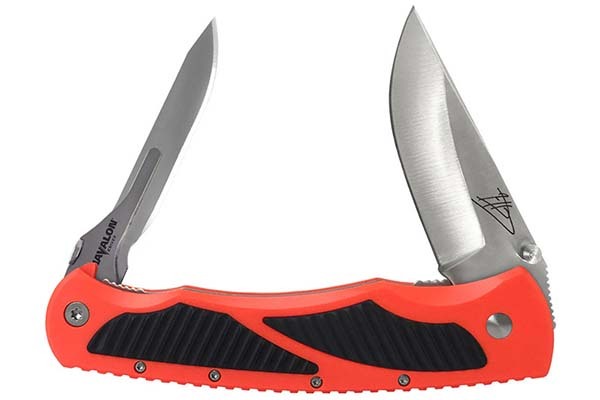 The Havalon Piranta is the best-selling single blade design. It has two different blades that will fit on the handle. If you really like a stout blade in addition to the replaceable blade, Havalon designed a two blade knife that has a stout fixed blade along with a replaceable blade knife. The Havalon Titan designed along with Jim Shockey has the best of both worlds. Backpacks are vital gear for all backcountry hunting. Whether you are setting up spike camps or long day hunts, a quality backpack is one piece of gear that can make your hunt as comfortable as possible. Alps Outrdoorz has been creating packs for a variety of purposes. Their Extreme line is one of the toughest and best designed pack on the market. Their Pursuit is a great all day pack. Whether you are sitting in a stand or out for extended periods. 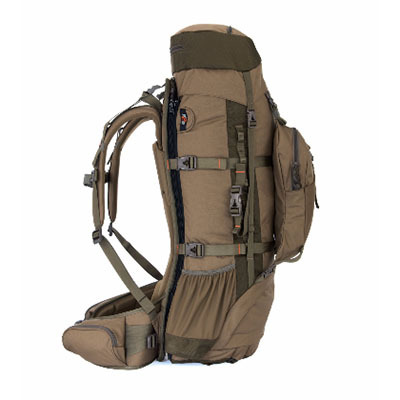 If you are in need of a bigger framed pack then the Commander X is a great long trip pack. The Traverse Extreme pack can do it all for those long trips. A personal favorite is the Pathfinder. This modular pack can be used as a large fanny pack, or with one zipper add 1500 cubic inches of a pack complete with gun/bow holder. Regardless of your need, ALPS has the pack for you. From Extreme packs to lighter models. Modular, fanny packs, or full backcountry packs the ALPS designers have thought of it all. Alps Outdoorz Extreme Commander pack. Deer hunters always have a need for game cameras. 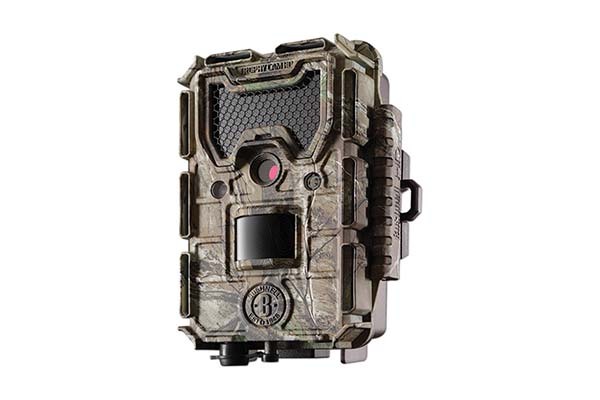 As one commercial says, “how many game cameras does one [deer] hunter need? Just one more.” Some would argue that the game camera has revolutionized the way people hunt. From herd surveys, to patterning bucks and bulls. The use of game cameras has changed the way many deer hunters hunt. The market is saturated with cameras of different styles, mega-pixels, blackout, flash, etc. But some have remained strong leaders in the industry. Bushnell has consistently produced affordable high end cameras for the deer hunter. The Bushnell Trophy Cam HD in total blackout is a great choice for a game camera. Its price point, small size and efficient functionality make the Trophy Cam HD an excellent gift. Personal experience has over 14 months on a single set of batteries! Couple this with a large SD card and you can leave areas undisturbed for extended periods of time without worrying if the camera is working. Living in the south, nothing can describe the hordes of mosquitos that infiltrate our swamps and woods. Many states have early season opportunities for deer. 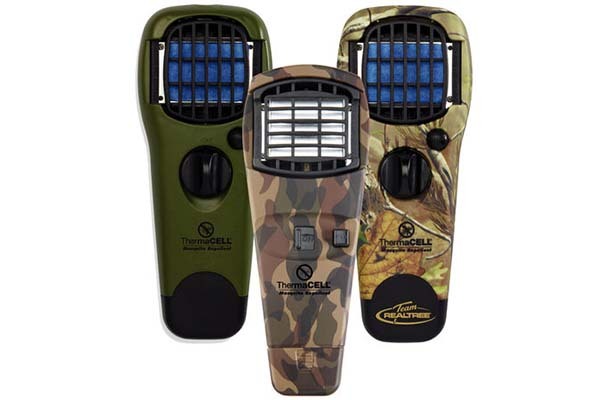 The one item I will turn around and go back home for is my ThermaCell mosquito system. This item has revolutionized the way we hunt. 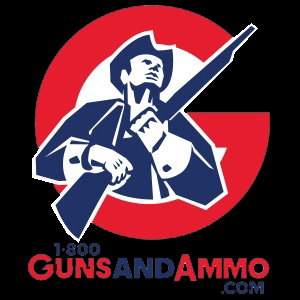 Some have said this is THE most important invention in the hunting industry since the repeating rifle. It would be hard to argue this, point if you have ever tried to hunt without it in the early season. But the engineers at ThermaCell have not stopped their innovation. On the contrary. They now have lanterns and torches for your camp, complete with the mosquito appliance built in to help light up camp while keeping pesky bugs away. And recently a backpack version that will breakdown into a carry bag for your remote trips. All of these products will make excellent Christmas gifts for your hunter. If you are hunting from your favorite camp, out of your truck or in the back country you need to be able to store food and get your game home. Few items are as good at this as are the Yeti coolers. From the diminutive Yeti Hopper Flip 12, to the gargantuan 350 and 450. 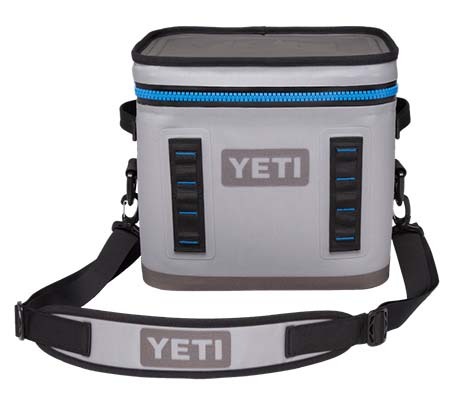 The Yeti brand has a cooler for you. Some of these coolers are so large you can’t lift them when full. But for those camping or staying extended periods of time away from civilization the 210 is a great choice. If you are closer to home and need food for a few days and still need to get your gear home, the 65 is the best choice. But for long sits in a blind, Yeti has two options that will work with deer hunters. First is their new bottles. These stainless steel bottles are rugged, and durable. They keep coffee hot for over five hours, Ice seems to never melt in them, they are easy to store in your pack. If you are preparing for longer time afield and sitting in a portable blind all day, perhaps the new Hopper Flip 12 is your best choice. This is the best blind bag I have seen ever. It can hold your lunch for days! More and more deer hunters are wanting to record their hunts for posterity. Both still cameras and action cameras are being carried into the hunt. Without question, one brand of action camera stands heads and shoulders above the rest. 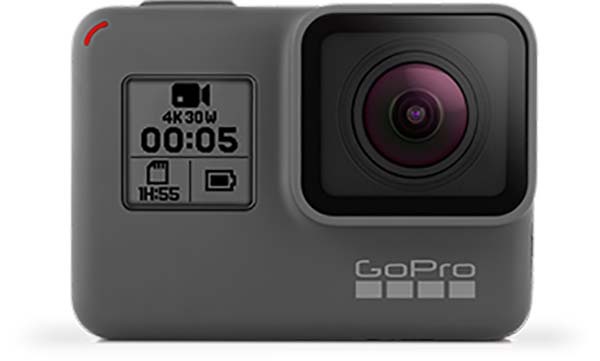 GoPro action cameras have set the bar for everyone else to reach for. Their Hero 5 with available attachments for hunters make a great gift. 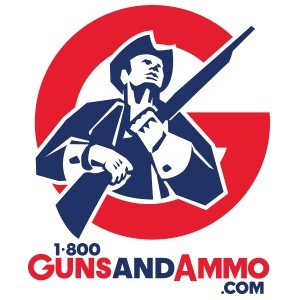 Traveling hunters are always in need for quality gear to pack their stuff in. It has to be durable, and large enough to carry essential gear. 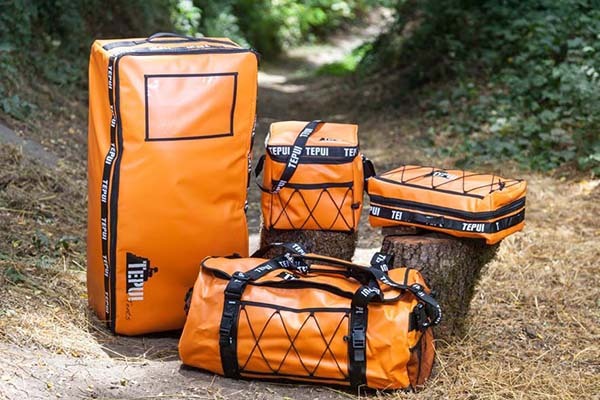 Tepui Tents has developed bags that may be the strongest, most weather resistant and most durable I have tested. These bags are very impressive, and very weather proof, as shown in hurricane Matthew that hit us while in route to deer camp. All of my clothes were dry when we arrived after being pelted with over eight inches of rain for four hours! This made a believer out of me.